Should I buy a pair of Beats headphones? The bottom line: Beats headphones are everywhere nowadays, thanks to the combined pulling power of Dr Dre, a bass-heavy sound perfect for club hits – and a lot of advertising. Despite their popularity, Beats is a brand that often faces criticism for its high price points that never quite deliver a level of audio quality you expect. This does mean, however, that they're a much better deal if you're able to snag them at a discounted rate, especially if you're a fan of their style-conscious looks. Newer models feature the same great W1 chip that Apple built into its AirPods, which provides great wireless connectivity... so long as you're connecting them to an iOS device. Pros: Good looks, great battery life and wireless connectivity (on W1 chip-equipped models paired with iOS devices. Beats have changed a lot over the years, and thankfully we've reviewed many of the different models that have come out. 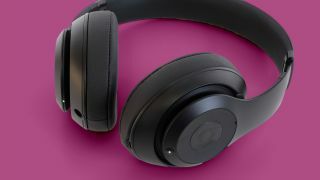 The current headphone range consists of the wireless noise-cancelling Beats Studio 3, the wireless on-ear Beats Solo 3, the budget wired Beats EP, and the premium over-ear Beats Pro. Meanwhile, the in-ear variants include the wireless Beats X, the sport-focussed wireless PowerBeats3 and the budget wired urBeats3. All the most recent wireless Beats headphones feature Apple's W1 chip which makes it incredibly fast and easy to pair the headphones up with iOS devices. The chip also boasts impressive wireless range, and offers better-than-average battery life. You should bear in mind that older generations of the company's wireless headphones do not feature the same functionality. As for sound, Beats headphones have definitely gotten better over the years, but they still skew towards the low-end, with a chunky bass response that can overwhelm the mix. If you like the Beats branding, then a discount could be all you need to make a pair of the headphones a much more palatable experience. But if you're more agnostic when it comes to headphone brand, then there are plenty of other models out there that do more for less. Check out our guides to the best wireless headphones and best noise-cancelling headphones for our top picks.